By using the latest technology called 'flow cell' and claimed to be far better than Lithium Ion batteries. 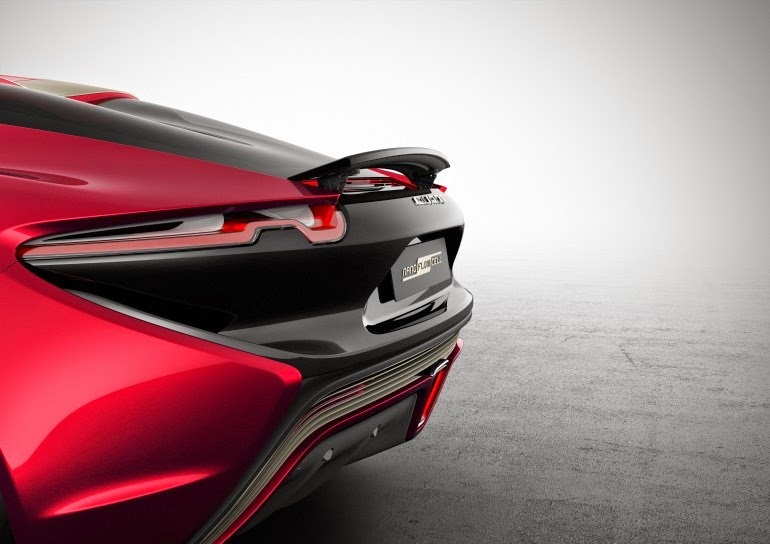 The latest electric sports car that made by Switzerland automotive manufacturer, nanoFlowcell AG, reportedly will soon be introduced in the near future in the annual event of the 2015 Geneva Motor Show, as reported by Gizmag. This time the electric car on display named 'Quant F'. According to the manufacturer, Quant F is the latest generation from its predecessor 'Quant E' which is also exhibited in the same event last year. Confirmed as the latest generation has undergone a complete overhaul both in terms of technology, powertrain as well as in design. 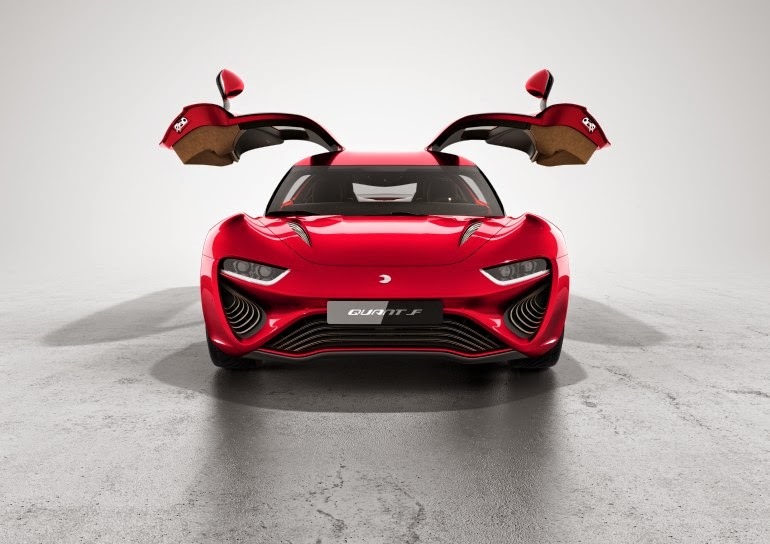 The outside view of Quant F does look similar to the previous generation of the Quant E. The difference between them is the use of color schemes, rearview larger door, rim designs and patented "QUANTeYES" headlights. Another feature of Quant F is the application of gull wing doors that are a popular type used in the '80s supercar and a rear spoiler that automatically appears at a speed of 80 kph. While passenger capacity can accommodate four passengers and has a 207-inch length. Its length is longer than the Mercedes S-Class LWB. The interior space was relieved thanks to the use of carbon fiber monocoque and a more slender A-pillars. The electric motor is pinned in the car can produce power of 1,075 hp (802 kW). And claimed to be able to accelerate from 0 to a speed of 100 kph (62 mph) in less than 3 seconds with a maximum speed of up to 300 kph. And it mentioned also has a range of up to 805 km (500 miles).